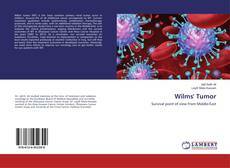 Wilms' tumor (WT) is the most common primary renal tumor occur in children. Around 6% of all childhood cancer corresponds to WT. Current treatment guidelines include nephrectomy, combination chemotherapy protocols, and in some cases, with an additional radiation therapy. The aim of this retrospective study from a war-torn country in the Middle-East, is to evaluate the clinical presentations, staging distribution and the survival outcomes of WT in Zhianawa Cancer Center and Hiwa Cancer Hospital in ten years (2007 to 2017). As a conclusion, our survival outcomes (in Sulaimani, Kurdistan, Iraq) showed an improvement in comparison to the local results reported previously at another institution in Iraq, but still they are lower than the treatment outcomes in developed countries. Obviously, we need more efforts to improve our oncology care to get better results for our patients with WT. Iraq, Middle-east, overall survival, Wilms' tumor, Kurdistan.